Hey everyone. We’re back with a review of another CBD oil company that has caught our attention recently. Kat’s Naturals is a firm that triggers ambiguous feelings when you “e-meet” them for the first time. On one hand, it boasts the same claims as other CBD companies; but on the other, these claims are very general, making it impossible to figure out such things as how the company sources their hemp. It’s not a good first impression if you ask us. Nonetheless, at least Kat’s Naturals did not make any claims about its CBD oil that could make us really question the company’s reliability, which is why we decided to give them a chance and have a quick chat with their staff. Once we learned everything we wanted to learn about Kat’s Naturals and its range of CBD-infused products, it became clear that there must be something about the hype they receive from their customers. How was our experience? Read on to find out! The mission of Kat’s Naturals is to make the highest-quality CBD products in the entire industry. To achieve that goal, they source their hemp from all-natural farms in the Netherlands, a country known for some of the best hemp cultivation practices in the world. Like we said, the information on the company and the people behind it is scant, but what you can read on the website will make you feel as if Kat’s Naturals is really proud about its products. 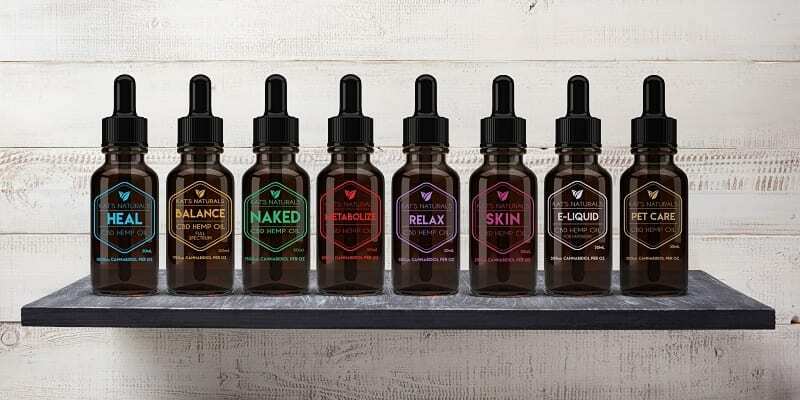 The company even goes so far as to claim that other CBD manufacturers mix their extracts in large batches, which causes the compounds to be unevenly distributed in the bottles. According to Kat’s Naturals, such things do not take place in its facilities. To help you verify those bold claims, the company provides third-party lab testing results on demand. It would be nice to see them on the official website, though. Nonetheless, we still had some doubts about their selection of CBD goods, but after testing them for several weeks, we’re glad that they have proved us wrong. Now, let’s take a look at Kat’s Naturals range of CBD products. Not only does Kat’s Naturals care about the quality of their hemp-derived CBD oil, but they also offer a range of various oils that have been designed to target specific problems, making the company one of the most progressive manufacturers on the market. Besides the CBD oil, Kat’s Naturals also offer a selection of other popular products, such as edibles, topicals, and vapes. Below, you will find a review of the entire Kat’s Naturals range. The company sells their oral drops in six (!) different options: Heal, Naked, Balance, Relax, Metabolize, and Pet Care. Each kind is designed to target specific problem areas, so without further ado, let’s elaborate on them for a while. This CBD oil boasts the highest potency of CBD out of the entire selection. Heal is the THC-free, organic CBD isolate infused with peppermint and essential oils. It contains 1500mg of CBD isolate per bottle. The combination of pure CBD with a hint of peppermint is not only palate-pleasing but also life-changing according to many customers. Kat’s Naturals is so courteous that it even tells you how long each bottle will serve you for. If you are on the market for a high potency product, but without essential oils and flavorings, the Naked option is just perfect. It contains 1500mg of CBD oil per ounce and is free of any additives, so yeah, the oil definitely stays true to its name. Its outstanding potency may prove invaluable for people who are struggling with social anxiety or stress since CBD activates the 5-HT1-serotonin receptor, which relieves anxiety, nausea, pain, and can help regulate your sleep cycle. The company shows dosage recommendations on its website, although Cannabidiol has been proven to have no adverse side effects regardless of the dosage. The Balance option has been designed to improve homeostasis in the body. It is dedicated for people who struggle with digestive issues. With the perfect balance of isolate and full-spectrum CBD extract, the oil allows a user to get the best from cannabidiol while drawing the benefits from the ‘entourage effect’ in cannabis. ‘Relax’ is a low-potency CBD oil which comes infused with essential oils derived from a sweet orange. This option is ideal for sufferers of mild anxiety, bringing down the soothing sensation and clearing the mind of anxious thoughts. If you’re new to the CBD industry, we suggest that you get started with the Relax oil, as it has the lowest concentration of Cannabidiol per ml (250mg of CBD per ounce of liquid) and leaves a gentle effect on the body and brain. This product is dedicated for those who need to lose the extra pounds. With medium potency and a mix of essential oils used for boosting metabolism and controlling appetite, it can make a great companion for improving the quality of your life. The ounce of the Metabolize liquid contains 500mg of CBD per ounce and combines a range of oils extracted from ginger, peppermint, grapefruit, cinnamon, and lemon. All in all, it’s a great and versatile oil that supplements a healthy and balanced lifestyle by boosting your metabolism and stimulating proteins that can help break down and oxidize fat (also known as “fat browning”). Kat’s Naturals shows that it cares about our four-legged pals. Their CBD oil for pets contains 300mg of CBD extract per bottle, with a combination of organic virgin olive oil, chamomile, and lavender essential oil. The best thing about this oil is that it comes with an ear dropper for more convenient administration. Since pets can’t hold the drops beneath their tongues, nor can they vaporize it, ingesting the oil through an ear sounds like a reasonable choice. Skin Serum ($40.00 – $75.00): to tackle skin problems, help a user get rid of wrinkles, and make your skin look younger on the whole. For the two creams, simply rub the recommended amount on the affected area until it gets absorbed. You can adjust the amount if you feel that you could use more Cannabidiol. When it comes to the skin serum, it works best when applied twice a day, onto the areas on your face that you want to improve. Of all topical products sold by Kat’s Naturals, we decided to try the Deep Pain Cream. The product is based on avocado and almond butter, but it also contains a blend of coconut oil, emu oil, hemp seed oil and several other essential oils. Does it work? We can only relate to the back pain that one of our team members suffers from. In his case, the Deep Pain Cream significantly improved his condition, alleviating pain to an easily manageable level, but we can’t say if it shows the same effects for everyone. After all, topicals usually take some time to kick in. Here’s the good news, fellow vapers: Kat’s Naturals did not forget about us. As far as the pricing is concerned, their vaping kits and e-liquid are affordable but we have used cheaper stuff in our life, which provided us with similar effects, if not better. E-Liquid: The highly bioavailable CBD liquid that goes inside cartridges and vape pens. Personal Inhaler Cartridge (25mg of CBD per 0.5 ml / $60): disposable pens used for a quick puff to enjoy the calming effects of CBD oil on the move. Prefilled Inhaling Pen ($20.00): a two-in-one solution in the form of a vape pen that comes pre-filled with the company’s vaping liquid so that you can start puffing right after unboxing. Just like you would use any other vaping product. Turn the vaporizer on, wait until it heats up to the selected temperature, and take the first draw. Don’t get us wrong, we enjoyed Kat’s vaping kit and we’re not going to deny that it’s good. However, like we said, we’ve used cheaper vape pens, e-liquids, and cartridges before, and to be honest, we don’t feel a great difference when it comes to the effects. Maybe the cartridge is of a higher quality, but the E-liquid leaves a bit to be desired. Although the flavors (orange and peppermint) were enjoyable, we couldn’t say the same about the effects. They were mild, slightly noticeable, but again – nothing special. Contrary to other CBD companies, Kat’s Natural doesn’t sell CBD-infused gummies, chocolates, or candies. Instead, they sell a product that can be best described as a food supplement – because that’s what it is. The “Activated Hemp Flower”, as the company calls its product, is supposed to carry all health benefits of Cannabidiol, from reducing pain to fighting inflammation. The product can be added for a variety of meals, such as smoothies, granola, or any baked good. 1 tablespoon carries approximately 9mg of CBD. We must say that this full-spectrum active CBD extract provided us with a surprisingly good experience. You know, after trying the vapes, we were a bit skeptical towards this product, but again, we were happy to be proved wrong. Although we do not suffer from any digestive issues, and therefore we can’t elaborate on it, we can say that this supplement certainly makes you feel good. Where to Buy the Kat’s Naturals Range? If you want to buy Kat’s Naturals products, go to its official website and check out the Shop Products tab to see the entire equipment. The company ships its products to all 50 states in the U.S., so you can place an order from the comfort of your home. Plus, if you live near one of brick-and-mortar shops that sell CBD, Kat’s Naturals has a list of retail outlets where you can buy their goods. While it goes without saying that Kat’s Naturals should hire someone to reintroduce their story to the public in a way that a person knows who’s behind the company from the very moment he or she enters the website, we must admit that our initial impression of this manufacturer was a bit misguided and they really outshine many aspiring CBD businesses on the market. We appreciate how Kat’s Naturals infuses its CBD products with essential oils, and that each oil has been designed to target an area that CBD is proved to improve. Thanks to such a broad range of CBD goods, customers can choose a product based on their condition to make sure their money isn’t wasted.